A Georgia State Patrol report said the accident occurred near mile marker 164 in the northbound lane at 6:10 a.m. when the vehicle ran off the interstate to the left and hit an embankment. 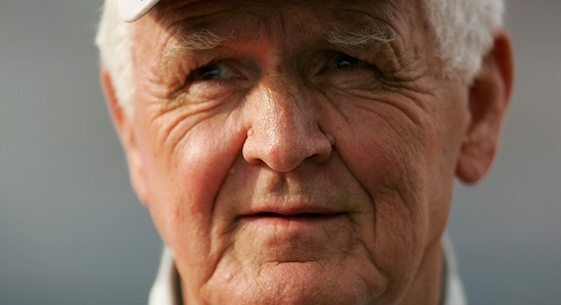 The elder Hylton began competing in NASCAR’s Cup Series in 1964 and over a 32-year-period competed in 602 races. He won two events as an independent, one in 1970 at Richmond, Va., and the other in 1972 at Talladega. He also earned four poles, recorded 140-top five and 301 top-10 finishes. Hylton’s best finish in the point standings was second on three occasions – 1966, ’67 and ’71. He also competed in four NASCAR Xfinity races, one Camping World Truck Series event and six Grand National East Series races in the early 1970s. Hylton made his inaugural appearance in ARCA in 1986 at age 51. Before stepping out of the driver’s seat at the end of 2013 at age 78, he competed in 175 races, but didn’t enjoy the success he had in NASCAR. After Hylton retired from driving, he turned to team ownership in ARCA. Brad Smith, who was Hylton’s driver in the General Tire 200 at Talladega, was credited with a 31st-place finish.